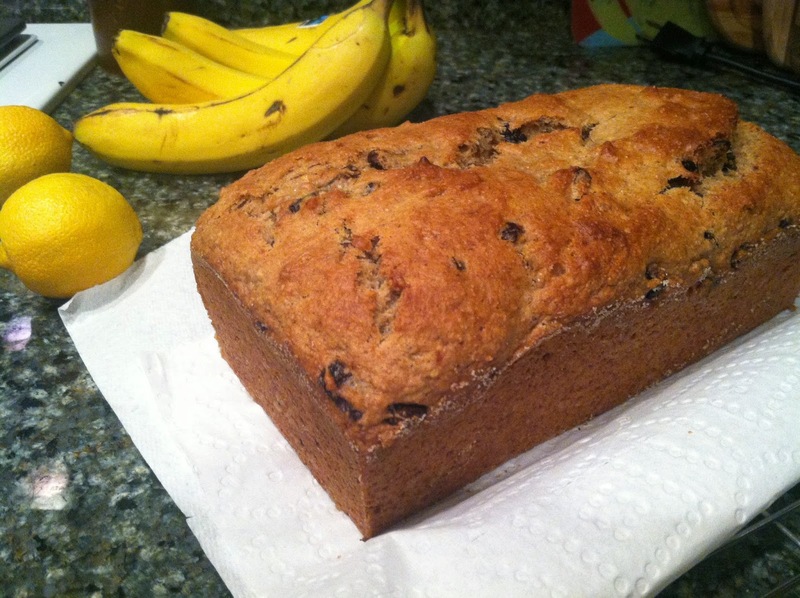 In our house, overripe bananas are always an occasion for making banana bread. Usually I only have one or two ripe bananas, so I throw them in the freezer until I get three. 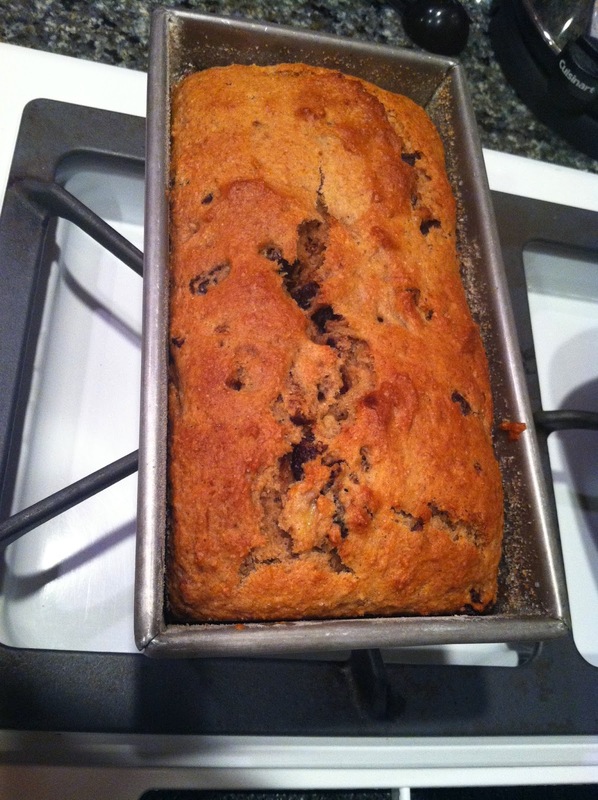 But this time I actually had three ripe bananas on the counter, so it was time. Also, I’m celebrating Mr. Bread Maiden, who is back to eating carbs again after a two-year abstention. Bread Maiden is quite happy, as you might expect. 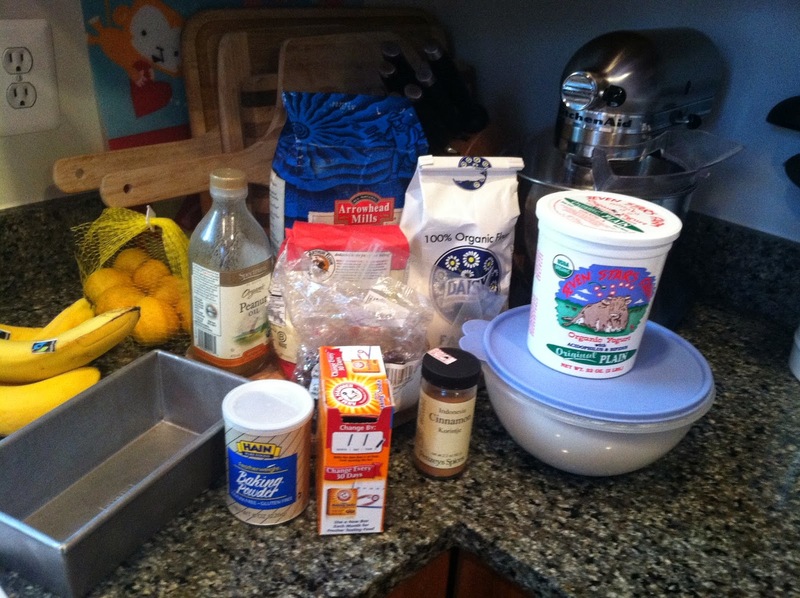 I’ve already covered one banana bread recipe here. But now that I’ve made this one by Crescent Dragonwagon, I’ve become a convert to CD’s method! 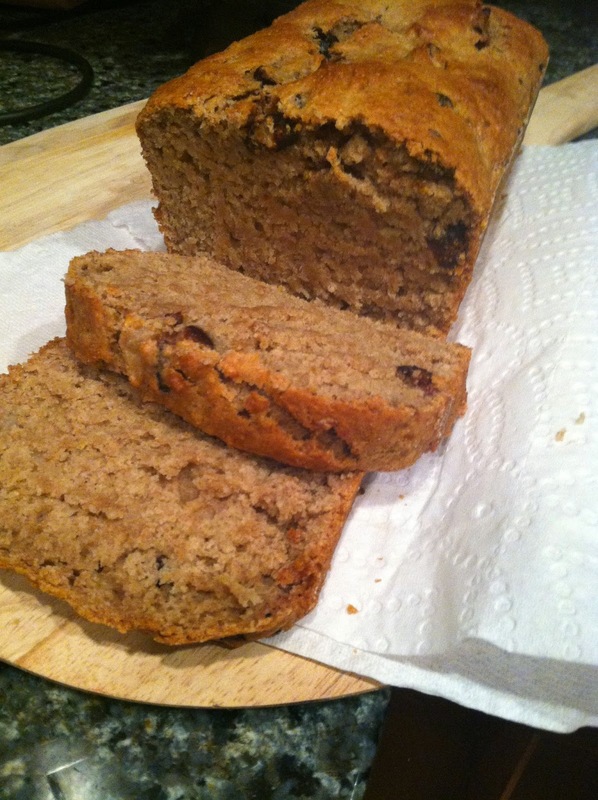 She calls it: Spice Islands Banana-Date-Walnut Bread. 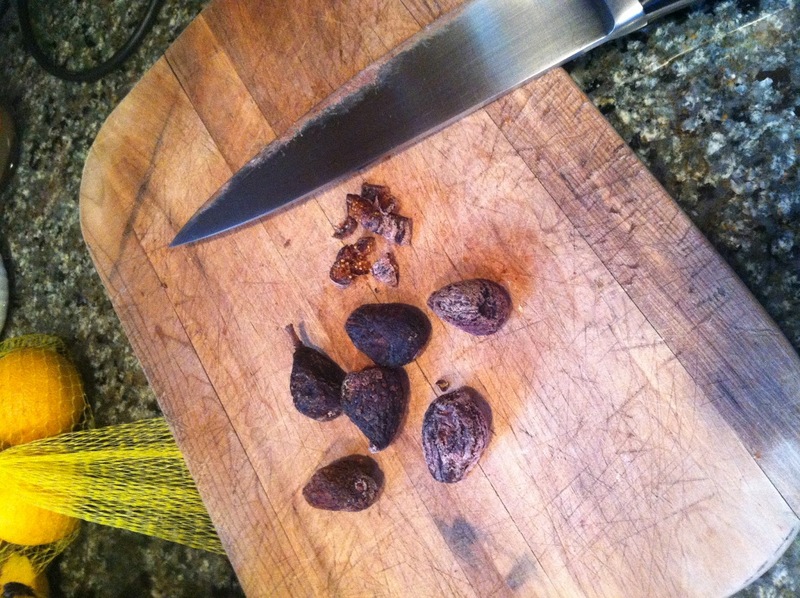 I nixed the walnuts since I don’t like them, and I was halfway through chopping dates when I realized I was actually chopping figs. Oops! I used them anyway and they were fine. Also I did a mix of AP flour, whole wheat flour and pastry flour since I didn’t have whole wheat pastry flour. The recipe makes one average-sized loaf. 1. 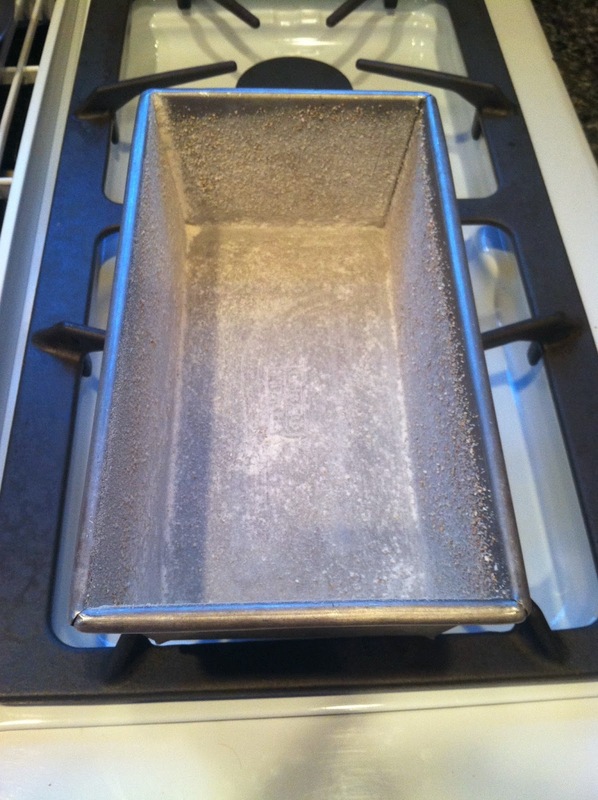 Preheat the oven to 375 degrees F. Butter and flour your pan and set aside. 2. 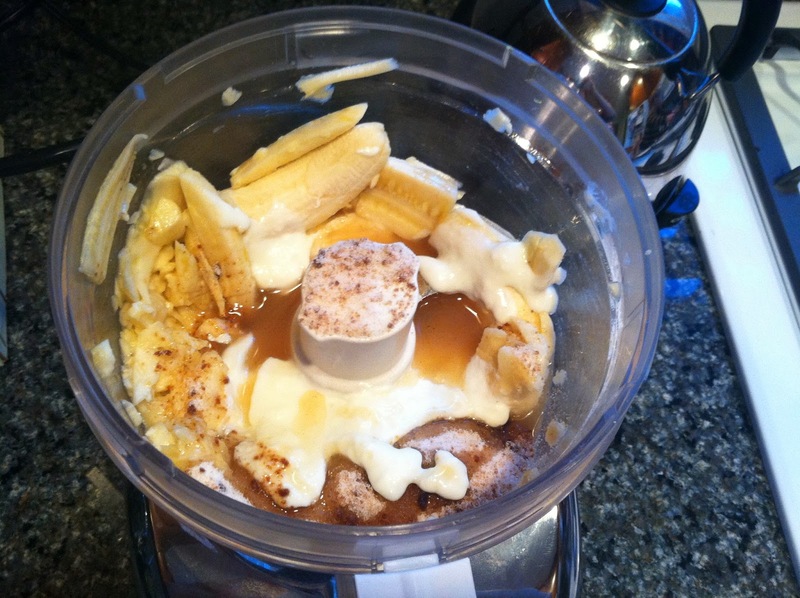 Put your three ripe bananas, lemon rind, lemon juice, oil, brown sugar, and buttermilk in the food processor. Buzz to make a smooth puree. 3. At this point I should probably back up, for those who thought, “brown sugar? I thought you said I could use white sugar and molasses.” And I did. Here’s why. 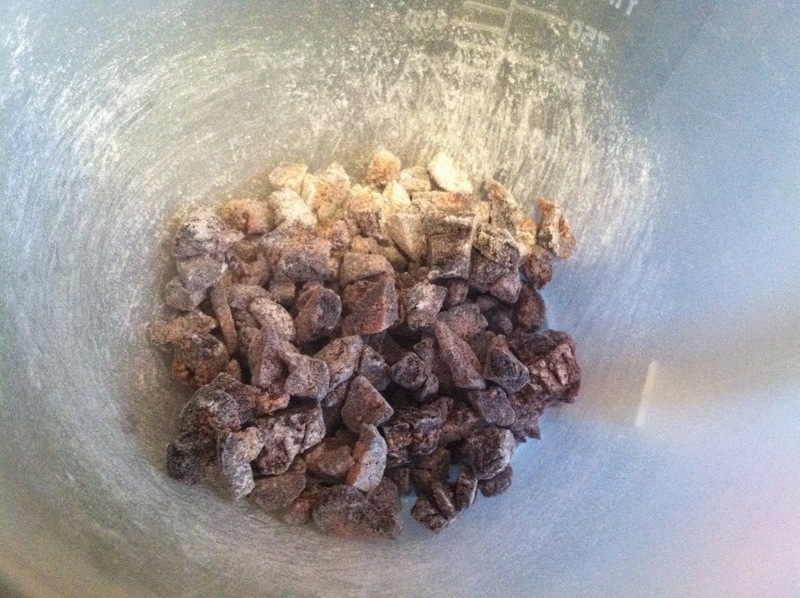 You can take a fork to white sugar and molasses to make your own brown sugar. 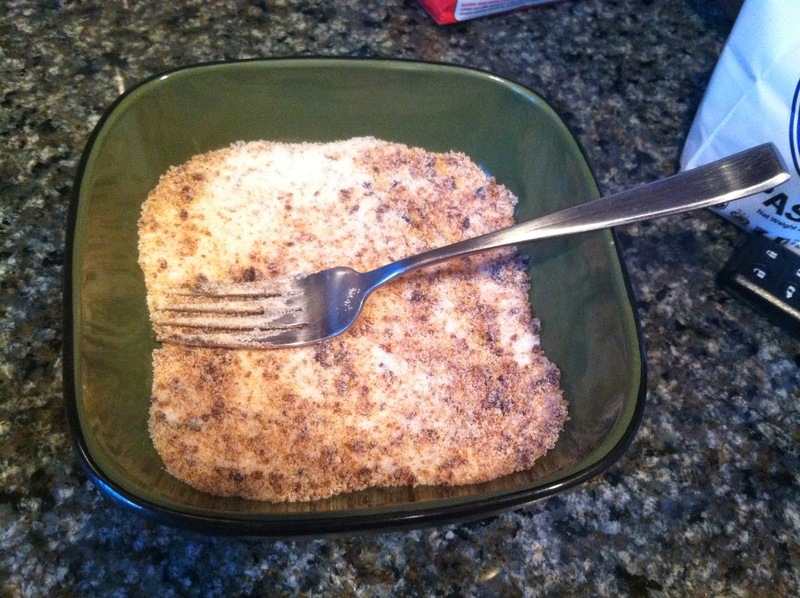 It’s super easy and it’s actually how they make commercial brown sugar too! 4. Ok, once you have set aside your banana puree, you can move on to the dry ingredients. 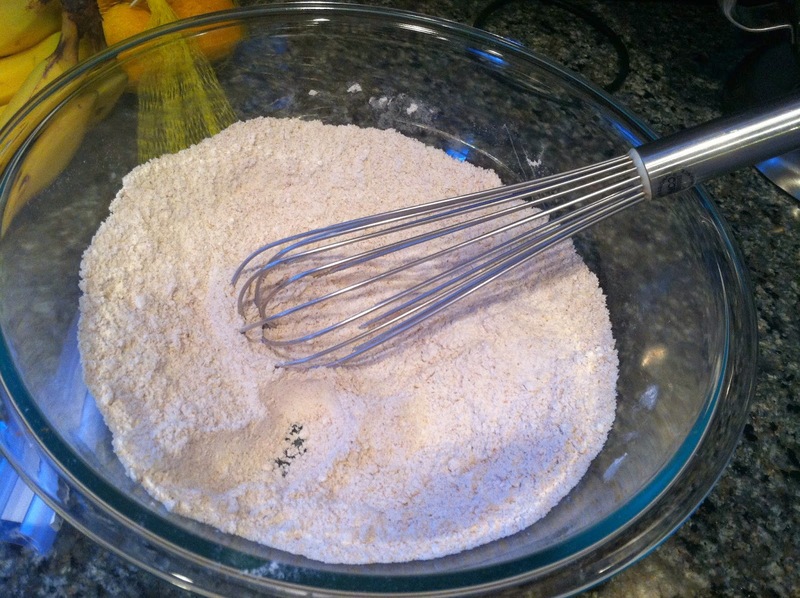 Whisk together the flour, salt, baking powder, baking soda, nutmeg and cinnamon in a large bowl. 5. Take a tablespoon of flour and mix it with the chopped figs until they are fully coated with the flour. 6. 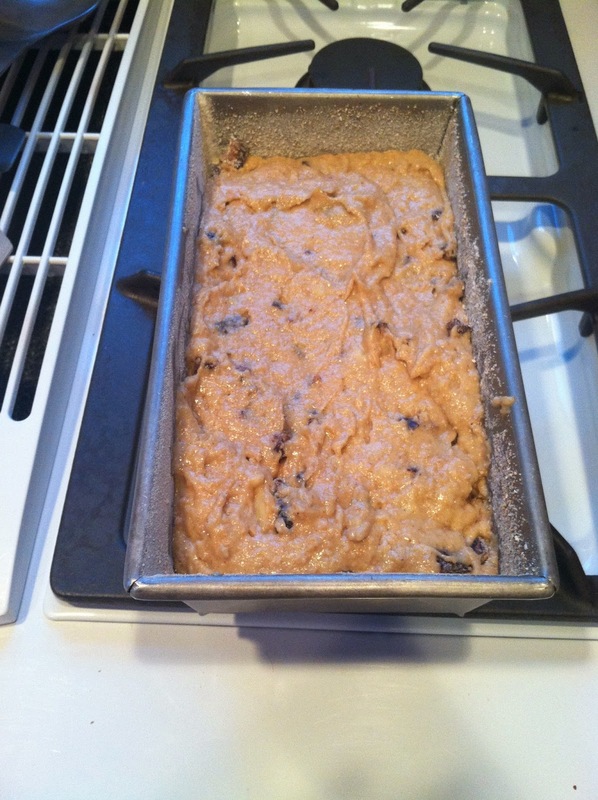 Pour the banana mixture into the flour mixture along with the figs and stir to combine but not too much! Pour the batter into your pan and smooth out the top. 7. At this point I was set to put the pan in the oven when I realized I hadn’t added the figs. Oops! I dumped the figs on top and tried to squish them in the best I could. 8. Put in the oven and bake for about 40-50 minutes. 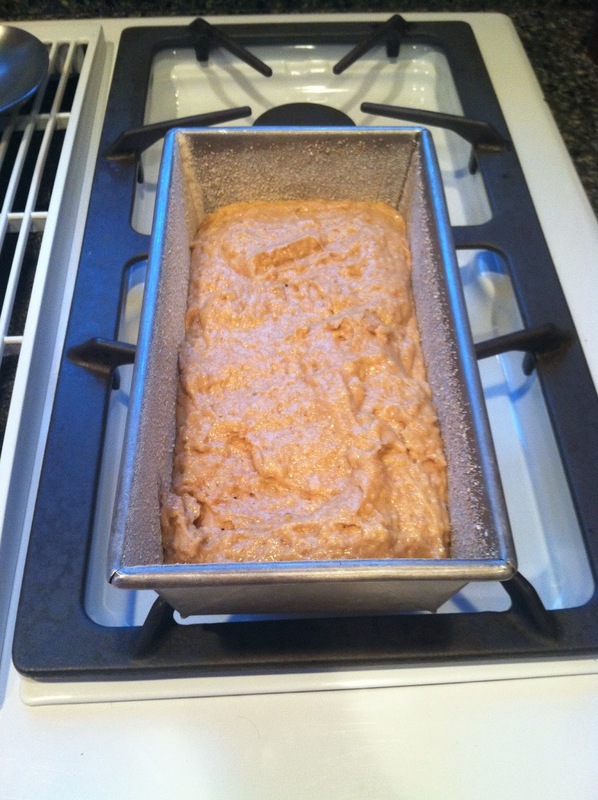 Take it out and let it rest for ten minutes before turning it out onto a cooling rack. Looks pretty good! Here it is once it cooled and I could cut it into slices. Because I forgot to fully incorporate the figs, they weren’t evenly distributed throughout the loaf. But the next few slices I cut after this had more fig pieces in them.